Welcome to the Institute of Physics. Physics research and physics education at our institute covers a wide range of topics, both experimental and theoretical. The Institute for High Energy Physics (IHEF) is an integral part of Nikhef, the national institute for subatomic physics. 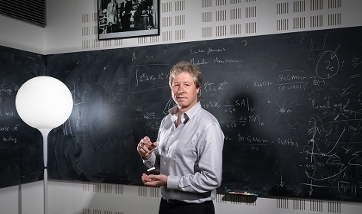 The research focuses on both theoretical and experimental particle and astroparticle physics. 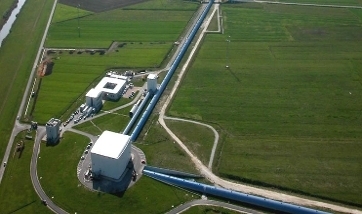 At the Institute for Theoretical Physics Amsterdam (ITFA), scientists at ITFA perform research around research themes ranging from condensed matter theory to astroparticle physics. At the Van der Waals-Zeeman Institute (WZI) for experimental physics, scientists perform research in the areas of quantum gases & quantum information, hard condensed matter, and soft matter. IoP is home to a number of excellent research groups, ranging from Soft Matter to String Theory. Teaching the beauty of physics to the next generation plays a central role at the Institute of Physics.